For those looking for more functionality and greater ease of cutting, 5J has developed a unique 5J ham for cutting a boneless ham or shoulder. 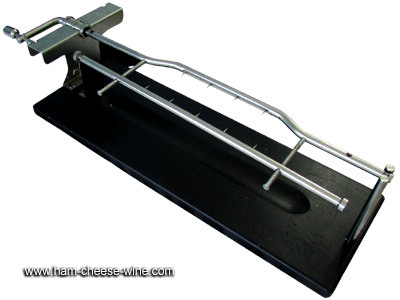 Ham holder that can cut boneless hams and shoulders. 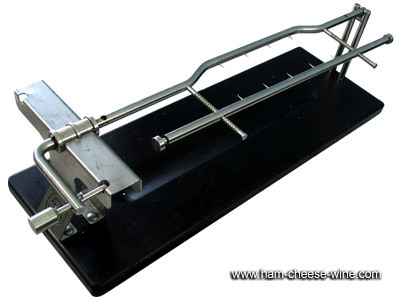 Ham 5J stainless steel model ideal for professional and home use. Very hard due to high quality steel. 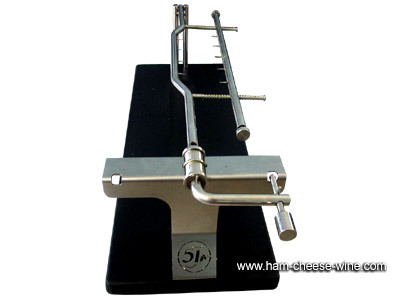 5J model ham holder with the rectangular base and support arms formed by two adjustable and rotating steel arms for precision and better ease in cutting.